In the area where Velika Kapela approaches the sea, we come across one of the largest forest expanses in Croatia. 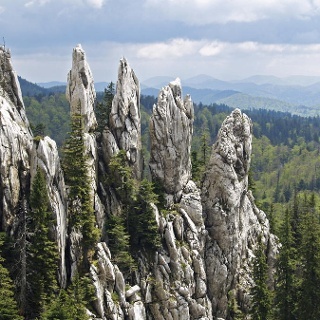 There are no settlements in the area from Bjelolasica and the sites of Bijele stijene and Samarske stijene to the edge of the regions of Gorski kotar and Primorje, and the entire area is marked by little known, rarely visited and very wide mixed forests. 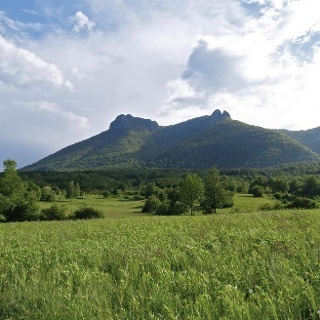 It is almost incredible that this particular part of Velika Kapela has remained preserved and unknown until the present day, given the closeness of the sea and relatively low elevations in the area. The key element of the route in this area is the Kapela Hiking Trail – one of the most beautiful hiking tours in Croatia. This trail leads from Mrkopalj to Klenovica in the region of Hrvatsko primorje. The trail for climbing to the peak of Velika Javornica begins in the middle of the forest, as a branch of the main access trail for the climb from Begova staza to Bijele stijene. The beginning of that branch is 10 minutes of hiking away from the mountain hut at Bijele stijene, and 30 minutes of hiking away from the forest turnaround below Bijele stijene. By following the route of the Kapela Hiking Trail, the White Line takes us through the forest in a permanent climb without open views. 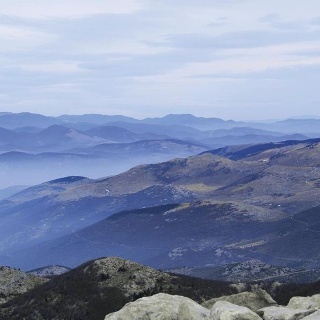 The first view is offered from the peak of Velika Javornica itself. The path is not demanding. From Velika Javornica, the trail then descends towards the road linking Novi Vinodolski and Jasenak. We reach that road at the abandoned forest ranger station Stalak. One part of the ranger station facility is put to use as a mountain hut. In further one hour of hiking, we reach a wooden mountain hut called Zelena kuća or Duliba. This facility is in poor shape and has no supplies (with the exception of a water cistern). From Dragutin/Miroslav hut the trail is well marked but in terrible condition! I'd recommend to get on the asphalt road as soon as you can. From Stalak the trail improves. I think names Duliba/Zelena are used interchangably now; either way, there's an unserviced hut with wooden bunks, picnic tables and a covered well with water. From V. Javornica to Stalak we try to choose forest roads instead of overgrown trails if possible. Water at Stalak, hike to Duliba huts. First is almost demolished, second hut Zelena Kuca in very good condition, relatively clean, wooden bunks and big well with water. Good place for night. I hiked the asphalt road instead of the trail. Biking would be better, but I really liked the area and enjoyed the walk. Nice views and sweet villages with great people.